C.G. (Christopher) Gross, though new to me, has been recording electronic music since the late 70s, and his Utility Recording label, which released this CD, began life as a cassette label in 1980. Mythos is based, to quote the letter that accompanied the CD, “mostly on H.P. Lovecraft’s early fantasy stories (as well as The Dream-Quest of Unknown Kadath).” Lovecraft has long been primo fodder for various styles of music. Most recently I recall Alisa Coral’s 2012 Space Mirrors album, In Darkness The Whisper, which was influenced by the author, and she too created an admirable interpretation of Kadath, a 22 minute 8 act space-metal suite. I like it when electronic musicians take on a theme for their albums. I enjoy dwelling on the subject as I listen, and Lovecraft is a fun one to ponder with instrumental music, and dedicated fans will recognize most of the track titles. We’ve got the Gothic flavored space-symphonic The Silver Key. The sparse, minimal rushing wind, drones and eerie effects of R’lyeh. The angelic, space-orchestral and pleasantly melodic Steps Of Slumber and I Am Providence. Similar is the cosmically atmospheric and lightly melodic Poetry and the Gods. Among the more picturesque, imagine inducing tracks is Erich Zann, with its haunting alien effects alongside an orchestral theme and spacey efx’d melody. Cold Waste is all space-orchestral high intensity. I like the blend of soundscapes and Berlin school on Through the Gates. Plateau of Leng is less than a minute in length but is a high energy combination of drones and effects, though I felt less let down by its brevity when I heard the following track, the equally intense and efx’d Pickman’s Basement, with its creepy voice and music that brings to mind a John Carpenter soundtrack. Sunset City starts off with multiple parallel flowing soundscapes and then eases into a deep space-ambience. And Polaris wraps up the set with ambience and effects. Most of the tracks are in the 2-4 minute range, so no lengthy stretch-out music here. Rather, Gross does a good job of creating a collection of synopses; concise musical statements that flow nicely from one to the next. Overall, Mythos is an enjoyable set of space-ambient/soundscapes/symphonic music. 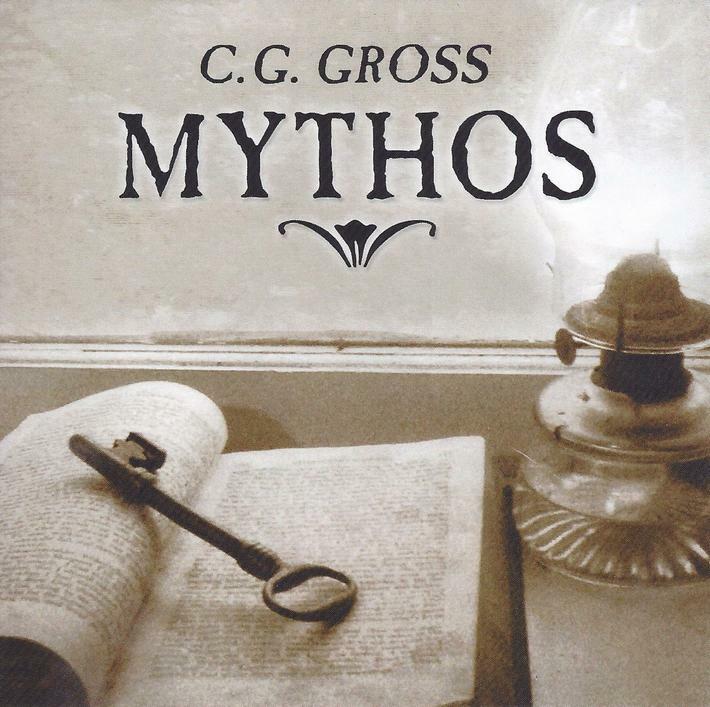 Both CD and download versions of Mythos can be purchased at CDBaby (CLICK HERE) and Amazon (CLICK HERE). Downloads are also available at iTunes.